You know I’m a fan of adventure with my crew. Well, my sis is also a fan of adventure. So, recently when her husband had to go out-of-town for several days my sister called and asked us to visit and explore their new town. 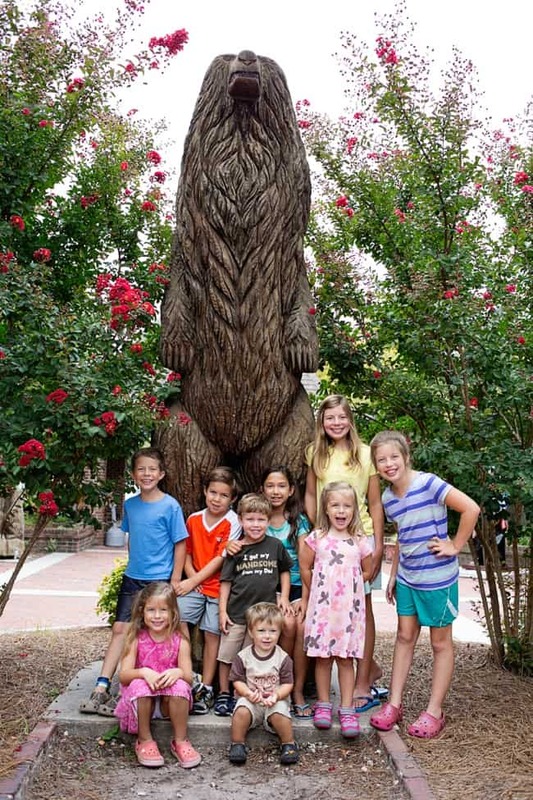 2 Mommas, 9 Kids and 4 days of fun! Y’all adventure with children means that you take a risk. Sometimes the day is wonderful and amazing. other days there are mishaps and stressful situations. Often the adventure is a healthy mix of the two. During our few days we packed in so much fun stuff! 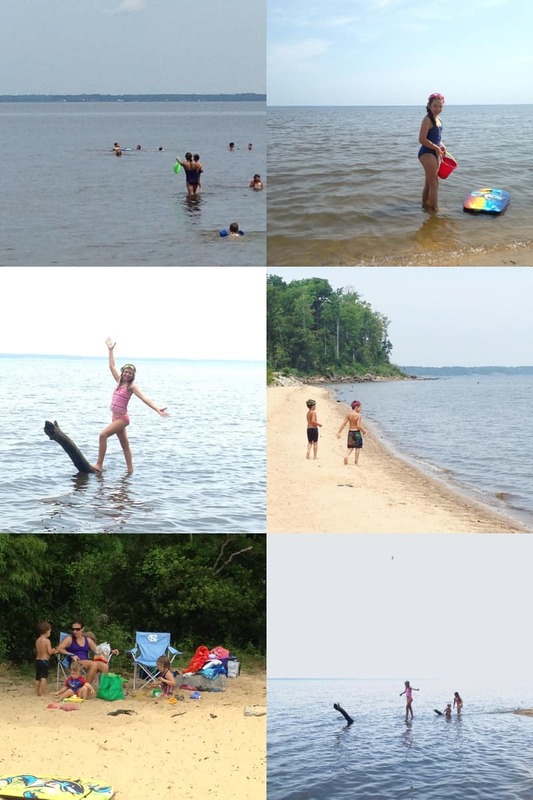 You’ll notice that all the photos of our water adventures are iPhone. Watching a bunch of kids on the water means, no time for ‘real’ photos! 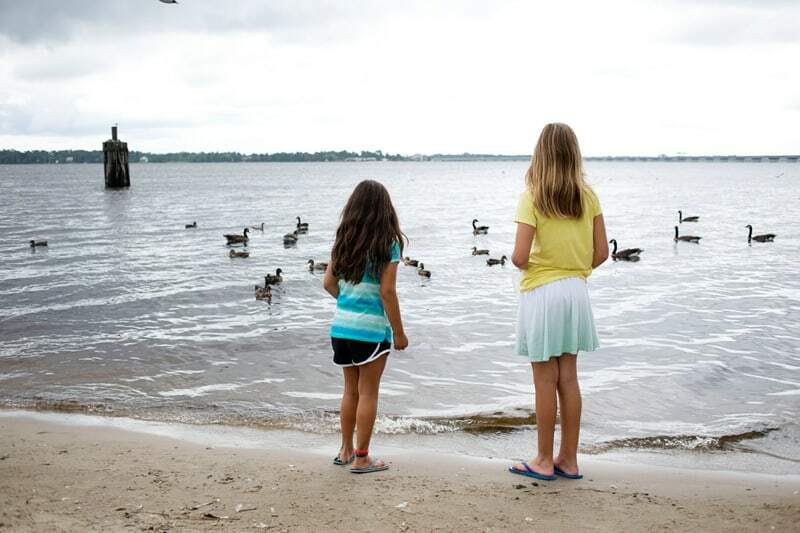 Day 1 included the morning and a picnic lunch at a beach on the ‘Mighty’ Neuse River. We spotted a pod of dolphins, searched for oysters, and floated the morning away. After lunch we drove straight to the neighborhood pool for the afternoon! 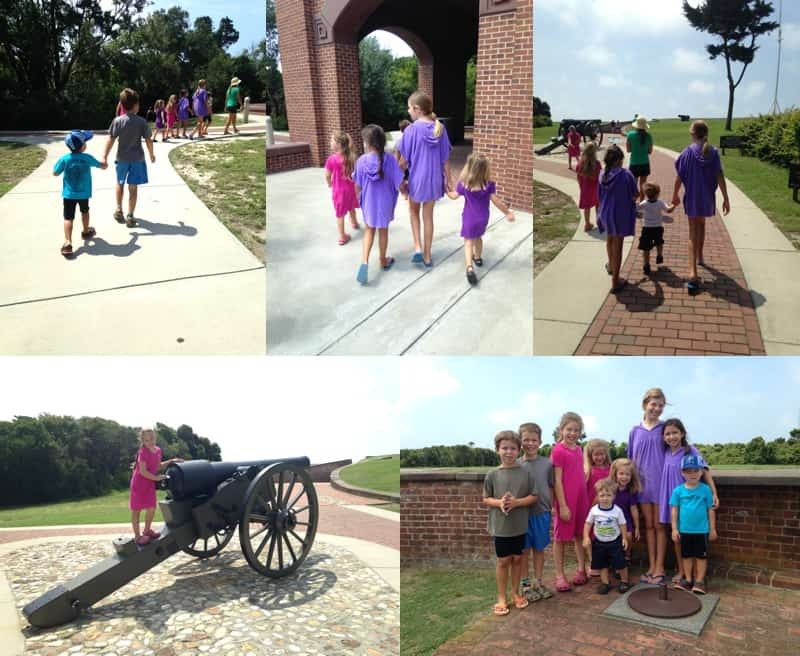 Day 2- We toured historic Fort Macon in the morning, followed by a picnic lunch and afternoon at the beach. This was the absolute perfect day, but we had to laugh at our chaos- especially when braving the ocean beach with 9 children! 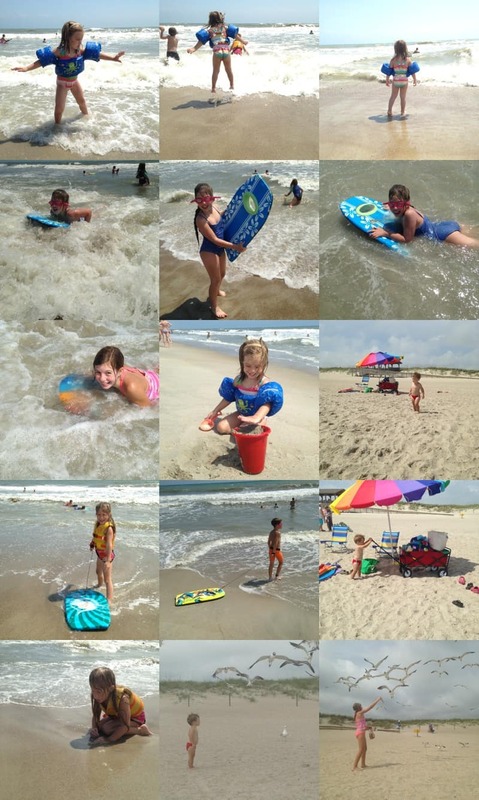 9 kids, 2 moms, lots of beach stuff. We were not cute trudging through the sand to find the perfect beach location; overstuffed wagon, 9 sandy children running by other beach-goers’ heads, dragging their boogie boards. We definitely felt the glares as we claimed our spot on the crowded beach with our sandy crew. Talk about a hot mess! There was no relaxing, between constant vigilance, doling out snacks, and head counting… but it was SO MUCH FUN! And so worth it! Day 3 began at the aquarium- where we learned a slightly rainy Friday at the beach means a very crowded aquarium. On top of it Jon had too many busy days in a row, no real naps, and we were in yet another different place. (How did I get a kid who doesn’t do well off routine and in new places for the first time this far down the line up??). He screamed for 30-45 minutes, straight. Thank goodness for Alana, who managed the other 8 kids in the crowd while I tried to make him happy. Did I mention that we lost 2 kids too? 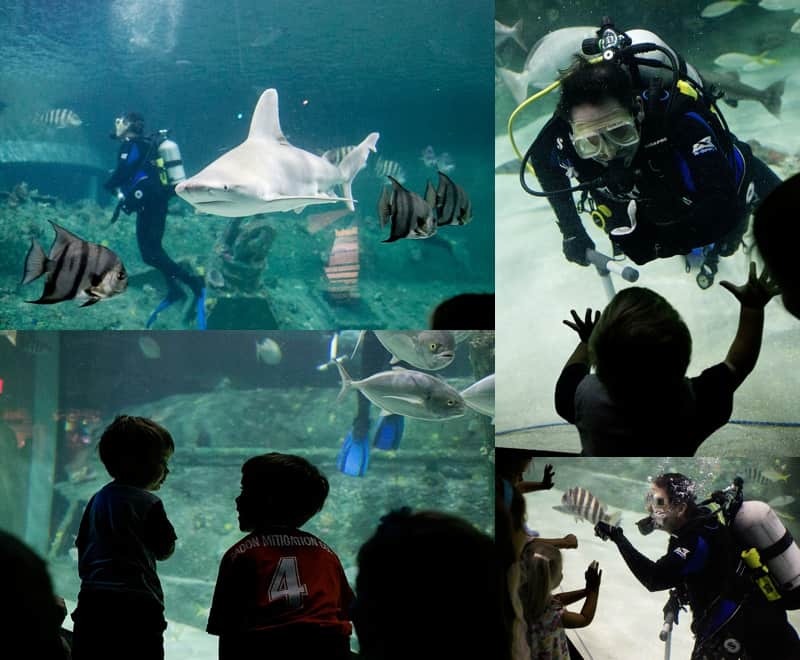 Thank goodness we had the speech about what to do if you can’t see Mommy or Aunt Alana before entering the aquarium. I stepped to the left, while Emily stepped to the right. She was still in the same room, but couldn’t see me. Just a few minutes later, when my head count came up missing her, I found her standing with a museum employee just as I’d instructed! And later my nephew didn’t leave the dive show with the rest of us, but, since he goes to the aquarium often, he just walked to the next exhibit and found us quickly. After that we decided we’d had enough aquarium for the day! But, after eating our PB&J sandwiches in the aquarium parking lot, we decided to shake it off and continue our day. Deciding to drive to the next town for old-fashioned general store ice cream, only to find a light drizzle beginning. But, I am so glad we didn’t let the chaos of the aquarium and the drizzle thwart our adventure. 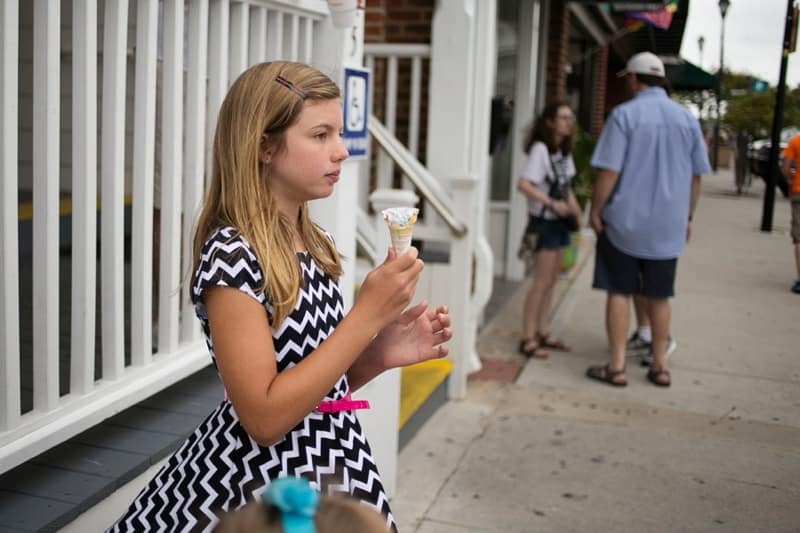 The drizzle was just enough to keep us cool on the hot summer day… plus keep crowds at bay! We were surprised to find a pirate invasion in the town. 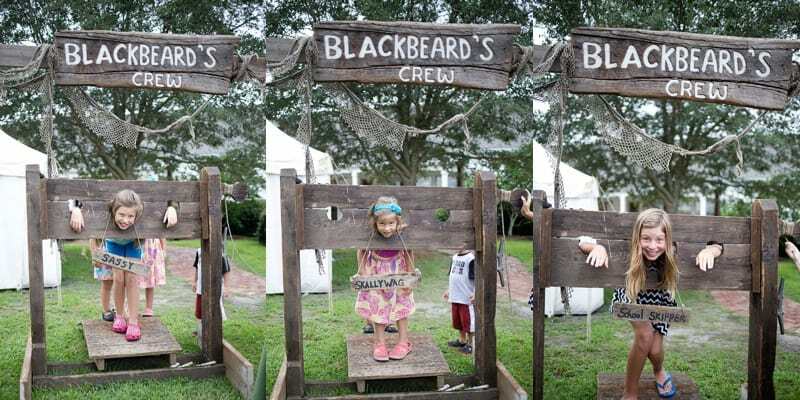 The kids had a blast singing and dancing pirate jigs, getting put in the stocks, and seeing all kinds of live pirate exhibits and shops. Day saved! Day 4 found us exploring downtown New Bern. 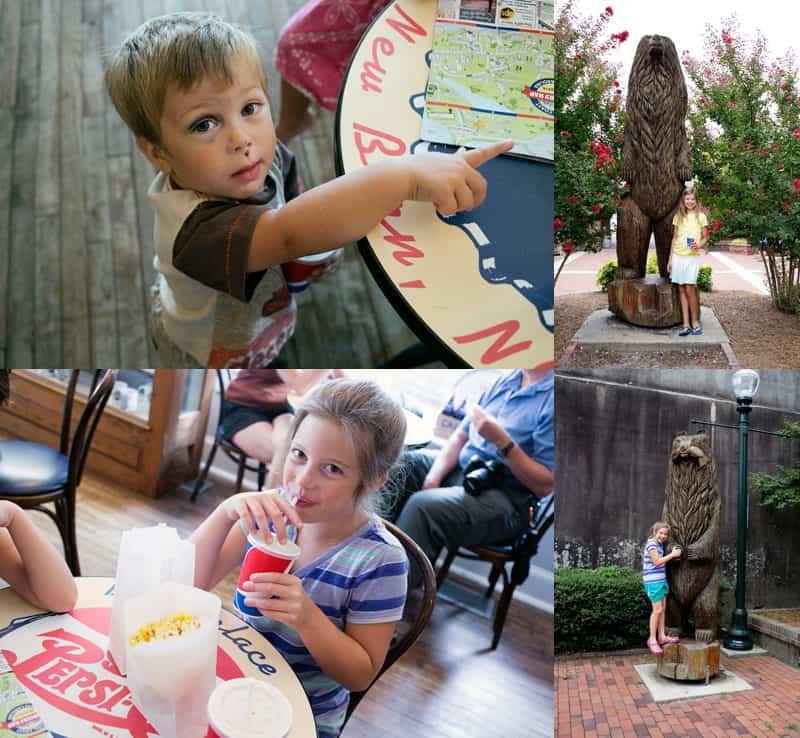 We enjoyed Pepsi and popcorn at the birthplace of Pepsi, walked downtown, played at the playground, and visited fun shops- where people commented on our ‘parade’ passing by. We must have been quite a sight: Alana leading the way, trailed by 9 children, nearly single file, and me bringing up the rear on the narrow downtown sidewalks. 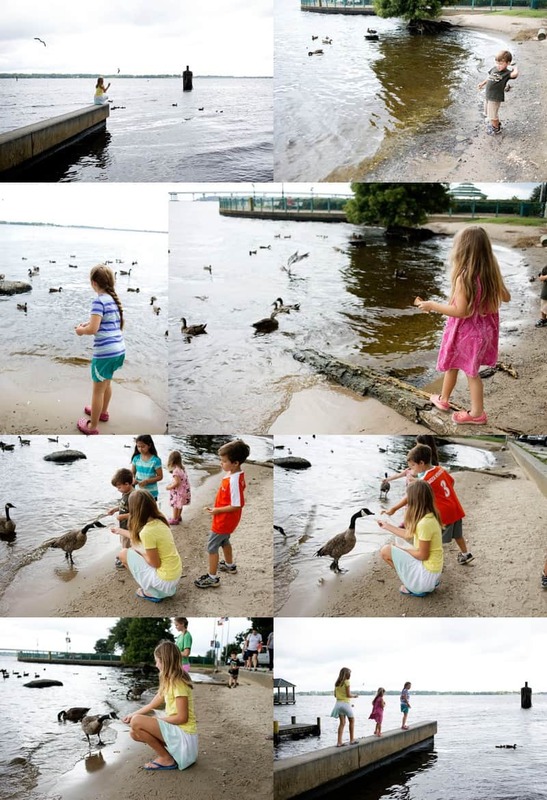 Next we fed the ducks and geese at the river-front park. We really packed it in, didn’t we? 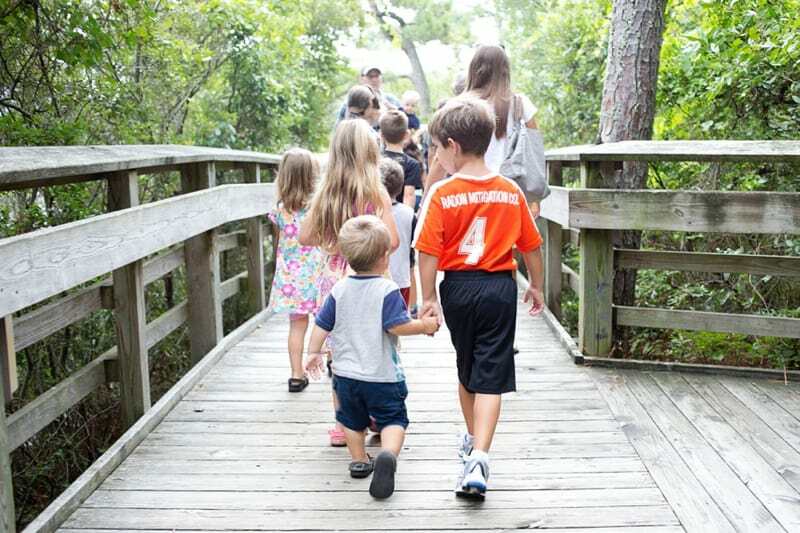 It was such a wonderful vacation- we can’t wait to go back to do it again! I love adventuring with my sister and her little ones!